The Ott Preserve at the east edge of Battle Creek was the subject of an attack several years ago. The 260 acres had been preserved early in the 20th century through joint efforts of local naturalists and John Harvey Kellogg. 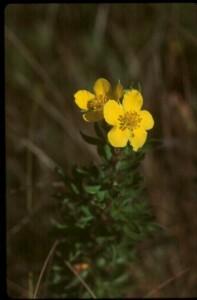 In 1977, Calhoun County bought the preserve using money from the federal Land and Water Conservation Fund. Fifteen years later, the 1993 County government, ignorant of what the Ott Preserve was about, agreed to sell 305 large trees, mostly oaks from a southern upland section of the preserve. Battle Creek citizens and conservationists throughout the state protested and the County Commission backed off from a second cut that would have logged the rest of the preserve. 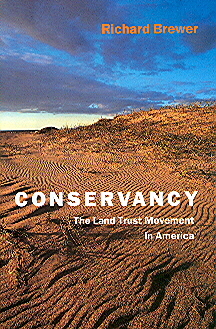 There is more about the events of 1993 in Chapter 4 of Conservancy: The Land Trust Movement in America. Serious damage had been done, but the oak forests of the upland ridges (eskers in geological terms) were saved and the wetlands that include the unusual type of vegetation referred to as fen were not seriously damaged. Now another 15 years has gone by and a new threat has shown itself. A group has proposed running a wide, paved trail through the preserve. Part of the justification appears to be to provide a link with the North Country trail. Pedestrian trails already exist within the Ott Preserve. Much is still unclear about the current proposal including justification, alternatives, funding for construction, ability to pay for maintenance in the long term, immediate and continuing impact, and acceptability to the citizens of the county and the region. The following comments on this current threat to the Ott Preserve were prepared by Sophia DiPietro, an advocate for the preserve and member of the Protect Ott Coalition. They were published in slightly different form in the Battle Creek Inquirer Sunday 6 February 2011 with the heading “Ott is natural gem worth preserving.” The Enquirer website includes several useful comments by readers in addition to the article. The nonprofit Calhoun County Trailway Alliance has proposed a nearly $2 million, 14-foot-wide “smooth-surfaced” trail-to-nowhere through the heart of the 100-year-old Ott Biological Preserve, and throughout Calhoun County. The Trailway Alliance says their aim is to “enhance the quality of life and environment for present and future generations.” As an outdoor enthusiast and healthy lifestyle advocate, I am in favor of outdoor recreation; but at the expense of damaging the natural features of Calhoun County’s only preserve? No way! Ott Biological Preserve is the most biologically diverse and pristine natural area that Calhoun County has. It is a living piece of Michigan’s geologic history. Ott’s unique 10,000 year-old glacially-formed eskers were once the streambeds of ancient rivers. They wind nearly one mile throughout the Preserve. Unlike the existing trail that follows these eskers, the “hard” engineering required to level out inclines, and to cut and dig a “smooth” or paved ten foot-wide trail (with two feet of clearing on each side,) would compromise the esker. In the blink of an eye our rich geologic history will be replaced with the everlasting footprint of heavy machinery. Downslope lies a globally rare prairie fen wetland habitat (fewer than 2000 acres occur in Michigan,) and three spring-fed kettle lakes– former sites of large ice block melts. These sites could receive inputs of sediment via erosion from construction disturbance and from pavement runoff. These vital headwater ecosystems are habitat to state and federally listed threatened plants and animals. They provide us with floodwater control and groundwater supply filtration that enhances our water quality. Ott provides breeding grounds, shelter, and food to mammals, reptiles, amphibians and birds. Some may not survive, while adaptable ones may become “nuisances” in adjacent neighborhoods. Ott’s trails are currently used for hiking, jogging, nature photography, birdwatching, snowshoeing, cross-country skiing, quiet reflection and educational studies. Since the first 105 acres were purchased in 1911, the land has been used as an outdoor classroom, especially for advanced college research. The notion that Ott is not used enough is false, and a “preserve” is no place for 10-speed bicycles, skateboards and rollerblades. In fact, any asphalt, gravel, or other “smooth” development of the trails will eliminate cross-country skiing, snow-shoeing and winter hiking in the Preserve, since non-dirt surfaces are not appropriate for these sports. The proposed smooth impermeable surfaces would retain water in puddles, refreeze into ice and create a slip-and-fall danger. This would effectively take the Preserve out of use for the cold months, when many people are even more active in Ott. Luckily, an alternative route through Ott exists that is more economical, more handicap accessible, and scenic but with fewer negative impacts. Providing an independently conducted environmental evaluation would give this route a green light, the trail would follow an already-cleared Consumers Energy power-line right-of-way along the west boundary of the Preserve, right to East Michigan Avenue. That exit point places you a mere 50 feet from where the Alliance proposes that their trail meet back up with the same exact power lines, right across the street in Kimball Pines! It could incorporate the placement of a currently un-used historic bridge, to cross over a tributary to the Kalamazoo River. The diversity of “edge-loving” species of birds and mammals that inhabit areas between forest and open habitats makes this alternative route rich in wildlife-viewing opportunities. I have bird-watched this route many times, to my heart’s content. The development of the preserve as currently proposed would have complex and permanent environmental impacts. Much more is involved than just “how wide” the proposed trail development is, or “what surface” is used. Transforming this peaceful nature preserve into an urban park would make Ott into what every other urban park is: paved, loud and with limited nature experience. And let’s face it, in a county that is recovering from one of the worst oil spills in its history, does it really make sense to develop and destroy the one last remaining public wilderness area we have? The 100-year history of the Ott Biological Preserve rests in the hands of the Calhoun County Commissioners. Make your voice heard at Change.org. But also contact Calhoun County Commissioners directly and attend Commission meetings. To stay informed, join our page at Facebook. Spread the word. I want people to responsibly share the Ott Preserve and enjoy it. I want win-win situations, not win-lose. Why should there be losers? Everybody can win with clear thinking, competent management. Regardless of your position, I think there’s a good site about the Ott Biological Preserve at ottpreserve.com. It’s rapidly being built and has one of a kind 360 walkthroughs, history and videos of the Ott Biological Preserve.